Pump with two elastic offside instep bands. Leather linings and leather padded insole. Poly rubber sole. 2 inch heel. The J.Renee' journey began with a fated trip to Taiwan in 1974. Renee' Harrison made a decision that would not only change her life but the lives of her husband, children and future generations: she became a shoe designer. Renee's creative talents were always prevalent in her work as an artist and realtor. 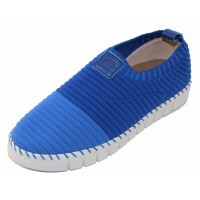 When those talents were coupled with the shoe industry expertise of Renee's husband, Micky Harrison, J.Renee' was born. In 1978 the first pair of J. Renee' shoes designed and manufactured by Renee' and Micky were sold. The brand quickly became sought-after for salon styling at an affordable price. Today J.Renee' continues to deliver on the mission in which it was founded, to provide affordable and bold style to women with a certain flair. Pump with two elastic offside instep bands. Leather linings and leather padded insole. Poly rubber..